by National Christian Counselors Assn. Our organization plans to provide Counseling, with an emphasis on faith-oriented living, thru music, charity, inspirational literature, artwork, and workshops. Additionally, our mission is to promote the creation of literature, music, and art for guidance in faith-based living. Our staff will give support and Counseling to those in need of development for the purpose of improving the well being of people in all communities. I am privileged in giving the gift of piano to you and your loved ones. The expression of one's heart and soul can be seen through the art of music. While I am able to bring this joy to all whom I teach, every student brings incredible joy to me. Each student reminds me that we are always growing and learning new skills, and that hard work and perseverance pays off beyond our wildest dreams. It's incredible that teaching a few notes can turn into a melodic symphony. Prevention appears to be at the core of the Gospel message. Jesus wanted His followers to live abundant lives, even when they were surrounded by stress (John 10:10). Much of the Bible was written to show how we can resist temptation, mature spiritually, and experience inner psychological stability even though we live in a world filled with corruption, evil, and harmful influences (2 Pet. 1:3,4). We offer preventive education in teaching people how to live, so they can anticipate, cope with, and often avoid overpowering stresses as well as preventive interference whereby we anticipate problems before they arise and do what we can to keep them from starting. If the problems have already started, we attempt to eliminate them or keep them from getting worse. My name is Janet Teresa Alario. I am a professional, Licensed Clinical Pastoral Counselor, a member of the National Christian Counselors Association (NCCA) & Piano Teacher / Music Therapist. I presently hold a Ph.D. in Clinical Christian Counseling from Calvary Theological Seminary Cornerstone University specializing in Music Therapy,Individual, Group, Marriage, Children, and Family Counseling. I am also a Licensed Temperament Therapist. I want to share some information about myself and what I do in counseling so you can make a fully informed decision about using my services. First and foremost, I am a Christian Counselor. As a Christian Counselor I believe that hiding our beliefs and trying to do value-free Counseling is both unwise and impossible to do, so I want you to know what my important values and beliefs are. Like most Counselors, I recognize that personal problems can come about because of physiology, social-environmental influences and psychological pressures. I also believe that many problems can be spiritual in nature, resulting from either not understanding Biblical truth or from sinful behavior. I also believe that individuals are created in God’s image and can only feel complete and fulfilled through a relationship with God through His Son Jesus Christ. Thus, Christian Counseling, as opposed to other kinds of Counseling, is very concerned with the spiritual as well as the emotional and physical needs of clients. The main goal of Christian Counseling, like the goal of Christian living, is to enable Clients to move toward greater emotional and spiritual health by becoming more like Jesus Christ. As a Christian Counselor, I am not limited to psychological techniques or to my own human effort and wisdom. I believe that God is the real authority in Counseling, and He gives us the resources to change. I believe that Counseling without the JESUS FACTOR is about as effective as applying a band-aid over a bacteria-infested wound. I believe Counseling should involve praying about the Client’s difficulties and looking to the authority of the Bible for guidance. In this way, I seek to encourage Clients to build a dependency on God. Clients can find forgiveness for the past, strength and comfort for the present, and hope for the future by trusting the Lord to daily meet needs and heal emotional wounds. I try to reflect the character of Jesus Christ and to love my Clients as He does. While I do not try to force religion on my clients, I do urge them to develop a RELATIONSHIP with the only true Healer of body, soul, and spirit, JESUS CHRIST. 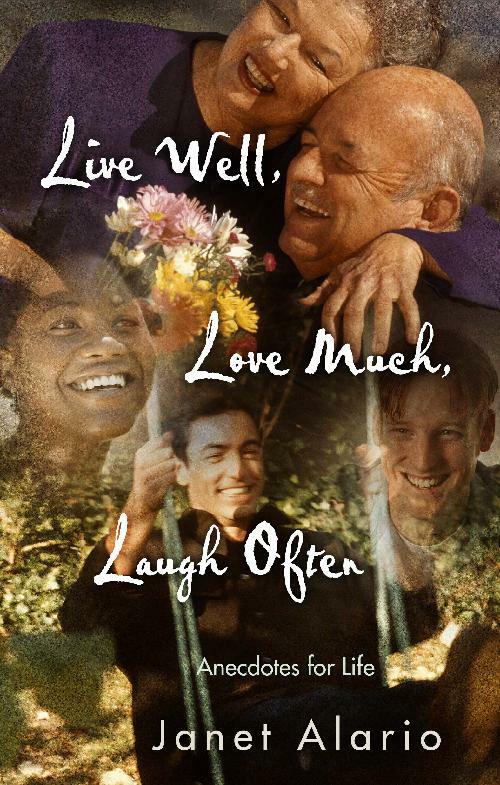 Live Well, Love Much, Laugh Often! Have you ever asked yourself, “How am I going to get through this?” The struggles we go through can be tumultuous; however, we have a choice as to what crutches we will lean on. We can worship idols and vices; or we can turn to God for help. God can be trusted more than money, more than a false sense of power and control, and more than the idols we place in His position. When we find ourselves lost in whirlpool of chaos and confusion, God can make sense of our lives. He created each one of us for a unique purpose. He will abundantly pour His grace upon us if we are willing to receive it. Do you have the courage to confront arduous situations with confidence in knowing that He is always with us, shaping and molding us into His image? Fear is not an option. We need only hang on, enjoy the ride, and trust in Him. What will you put your faith in? A place where the seeking and hurting come face to face with the Great Counselor, Almighty God! 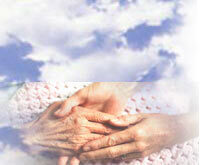 Obtain Biblical and Clinical help using the method called Creation Therapy. See yourself more clearly through the eyes of Christ. Gain insight into your specific crisis or situation. Improve communication and increase skills in relating to others. Set and reach new plateaus of victory in your life. All information revealed during the course of Counseling is strictly confidential. No member of the Counseling staff will release information without the expressed, written consent of the person(s) involved. Sessions are fifty minutes long. Expected upon reserving appointment or appointments at first session of the month for all sessions reserved that month. Return check policy $35 fee. *The Temperament Analysis Profile is optional; however, there is a standard fee for processing should you decide to take one.This analysis provides a keen insight to our temperament and helps us to understand how God has innately designed us. It allows us to comprehend why we behave in certain ways and offers solutions as to how we can meet our temperament needs in Godly ways. We will provide you with a detailed receipt for the Counseling sessions and will assist you in completing the forms for reimbursement from your insurance provider. However, payment is expected in full at time of reserving the appointment. Please check with your insurance provider. If you do not show up for your scheduled appointment, you are required to pay the full cost for the session. There are times that each of us can be confronted by uncertainties and life experiences that may threaten to drain us emotionally and spiritually. There are other times when we are not in crisis and just need encouragement and guidance for personal growth and self understanding. We acknowledge the power of the Holy Spirit to deliver and restore instantaneously at His alter. However, there are times when the understanding of healing is obtained through a Spriit aided Counseling process. Expected upon reserving appointment or appointments at the first lesson of each month for all lessons reserved that month. A safe, secure, loving, and totally ethical environment to counsel those in need at a minimal cost to you. A temperament analysis questionnaire at a cost of $50. each that will generate a personal profile to help you identify your areas of strength and weakness. A quality number of sessions necessary for your specific need. Individuals who need to understand and cope with personal difficulties such as - stress, or anger management, loneliness, illness, death, in the midst of divorce, or any major life changes. Families desiring to work through conflicts and find new ways to solve old problems. Couples with marital problems, improving communication and to respond with love to meet each other's physical and emotional needs. Anyone who has feelings of despair and hopelessness and lacks confidence or faith and trust in God. If a client intends to harm himself or herself, we will make every effort to enlist their cooperation in insuring their safety. If they do not cooperate, we will take further measures without their permission that are provided by law in order to ensure their safety. 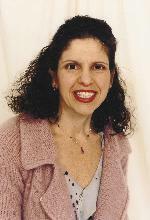 Janet Alario is a Freelance Writer residing in New Jersey with her husband of 35 years and three grown children - Anthony is a Veterinary Opthamologist, Nancy opened her practice in Colts Neck, NJ as a Doctor if Physical Therapy, and Linda will soon hold her Masters Degree in Music and is an Independent Piano Teacher as well as a Music Teacher at St. Catherine’s School for grades preschool through eighth in Spring Lake, NJ. Janet coordinates the Monmouth County chapter for the NJ Society of Christian Writers ( NJSCW), is an Artist, Musician, Gardner, and enjoys teaching people how to know God as their friend as well as volunteering her time with the Sunlight Kids & Missionettes, residents at Colts Neck Assisted Living, Birthright, and The Center for victims of AIDS. She enjoys being a life-long student listening and learning with a docile heart. Along with her daughter Linda, granddaughter Ana Julia, and their students, they enjoy holding recitals for the residents of various Assisted Living Facilities. She loves investing time with her 5 wonderful grandchildren and making memories of their cherished shared moments.